When we were kids, all it took was for us to say something like “hey, I like the colour blue too!” and suddenly we were best friends. Kids are friends due to circumstance. They are in the same school, they are part of the same sports team, or their parent’s friends have kids that they were forced to hang out with, and beautiful friendships blossomed as a result. Making friends as an adult seems to be an issue for many. Feeling lonely in the UAE isn’t too uncommon. Many people are here away from their families. While most move over knowing a person or two, some are completely fresh off the boat and don’t know a single person. Strong relationships are at the core of a happy life. Never stop trying to find human connections. 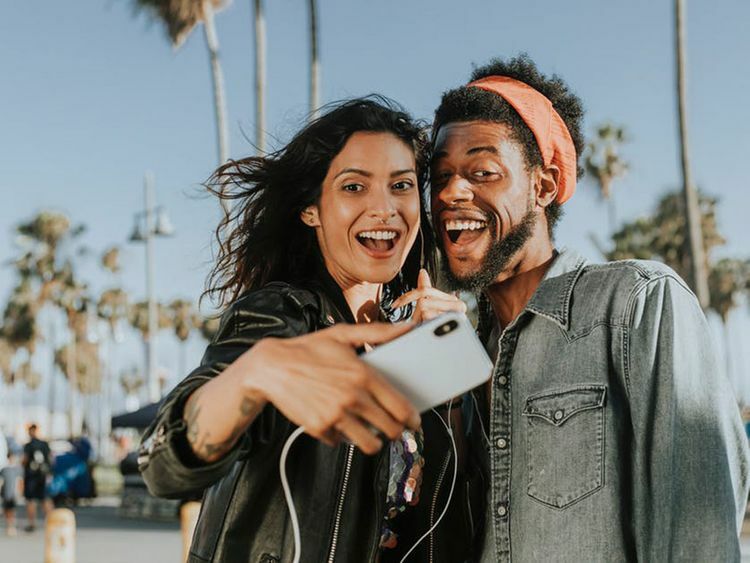 Here are great tips on how adults can tackle friendship and make lasting impressions on others as told my UAE residents who were in the exact same situations when they moved here. Social media is a great tool to take you from follower to friend. Find a photo or a story that interests you and make a smart yet friendly comment to someone you feel like you have things in common with. Some of my own friendships have started via social media. Twitter and Instagram are a great way to communicate with people. Just remember don’t be too forward, too creepy or too persistent. Play it cool, be nice and suggest meeting in real life for a coffee once you have reached a comfortable level of conversation. “I knew I was going to move out here six months before I did. Because of that I started networking with people in social media or people that worked in PR, friends of friends so by the time I got here - I had a base to work from,” Ibrahim Ahmed told to Gulf News. He moved over here from the UK. “This was in 2011, so people on social media were a lot nicer” he added jokingly. This may sound slightly lame, but one day I randomly decided to watch an improv performance at a local theatre in Al Qouz and it was the most liberating experience ever. I couldn’t stop laughing and everyone in the audience was bonding over the shared performance. Incredibly fun and will get you out of your shell. “I moved here 4 years ago and joined improv acting classes at the local theatre after work, I’ve been going regularly for years and now they have become like family to me,” said Sarah Newall. She moved to the UAE from New Zealand. I get that many people do not want to mix work with their personal life, but you are around these people for 9 hours a day usually. The next time you go for a coffee break, ask your colleague if they would like to join you. As usual, be careful not to come on as too strong, but make an effort to join into the conversation. “When I first arrived here, I was lucky enough to work with people who are amazing, kind and a lot like myself. When you work long hours, you eventually learn to have each other’s backs and your friendship and bond becomes stronger over time. I sometimes get that being at the gym is solitary time for many people, so maybe approach the ones that are going to a classes instead. Kickboxing classes are great for conversation, since you are mostly paired up with someone. Try and be consistent with your work outs, that way you make sure that you see the same people over and over again until you feel comfortable enough to approach them for a non-gym related conversation. “When I moved here from Sri Lanka, I joined a couple of different sports teams and that is how I made some friends and eventually I was introduced to my husband that way! Now I live here and have a lovely circle of friends,” Thanuri Pereira told Gulf News. Thanuri moved over from Sri Lanka. Smart phone meet up apps aren’t just for dating. Many people actually use them to become friends. Create a profile and swipe through looking for people who have the same interests as you. You can choose to meet people from your gender, opposite or both. This is quite an easy way to start connecting with people and meeting them once you reached a comfortable level of conversation. “This is the fastest way to meet new people. Sometimes you get lucky and you hit it off, other times it’s just awkward, so you both decide to end the meet up early. Usually meeting someone, leads to meeting more of their friends and friends of friends etc.” Sherif Mamdouh told Gulf News. Sherif moved over to the UAE from Egypt. If you want to meet likeminded people, volunteering is a great option. Usually the groups are quite small and people who volunteer tend to be very outgoing and friendly. They will be super easy to talk to and you can suggest meeting outside of your volunteering once you are comfortable enough to ask. When you move over here, you should make a conscious effort to go out and meet people. Try to always go to events, constantly network and get to know people. When you meet a friend, you’ll meet a friend of a friend, then you’ll meet their friends. The trick is (although this could be exhausting for some) is to just try your best to be open, to be social, to chat to people when you’re out, to compliment someone on their shoes, hair, dress. If you are a guy, ask for the time, ask about their watch… find anything to talk about. The more you do it, the easier it becomes to chat to strangers. "When I moved here, I had to eliminate the fear of rejection," said Lara Geadah, who moved to the UAE from Lebanon. "I love going up to, and speaking to interesting look strangers." Before you start to reach out and connect to others, make sure you yourself are a happy and confident person. Liking yourself before going looking for friends or meeting new people is a very vital step so that you can work on building healthy relationships. Ask yourself what you like about yourself, make yourself confident and comfortable. That’s when you will be at the right phase to start introducing new people to your life.